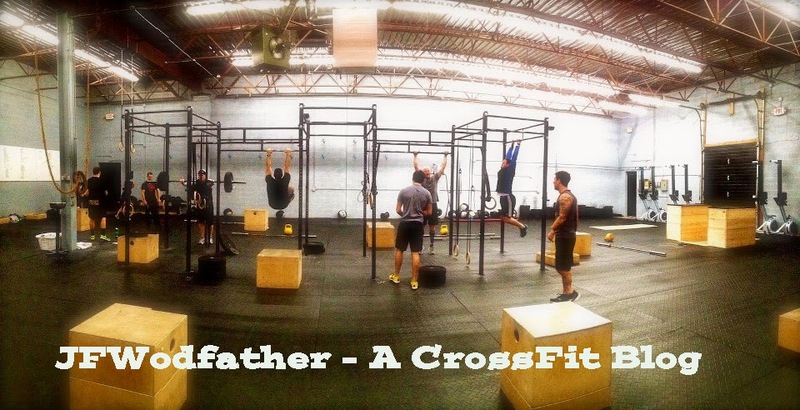 JFWodfather - A CrossFit Blog: "Jack"
So Travis & Regina want me to put on 10# of muscle so I need to max out the weights whenever possible. 115# is heavy for me to get overhead for a lot of repetitions. Most of the guys using that weight in this WOD outweigh me by 30-40 lbs. They all averaged between 8-10 rounds to my 6. I did all the kettle bells unbroken and the box jumps felt ok but that push press really sucked the life out of me. Travis actually "no rep'd" me once for not locking out my arms. I'm leaning forward and it's screwing up my press. I have to get it in my head that while I am building muscle, I am only competing against myself. It's easy to get discouraged watching everyone pass you. 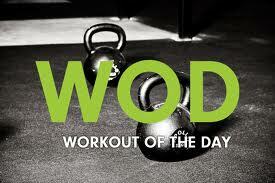 On a separate note, I did a little post wod workout of sit-ups and double unders. I'm learning to keep my hands forward and that is really helping. Here is a great video showing how to do them properly.